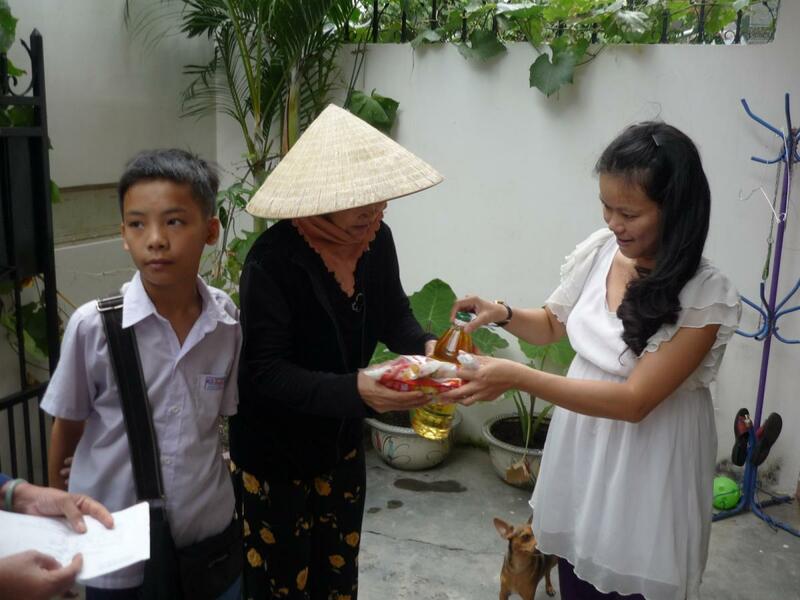 On October 21, 2012 we gave out food to the Phuoc Hai community. 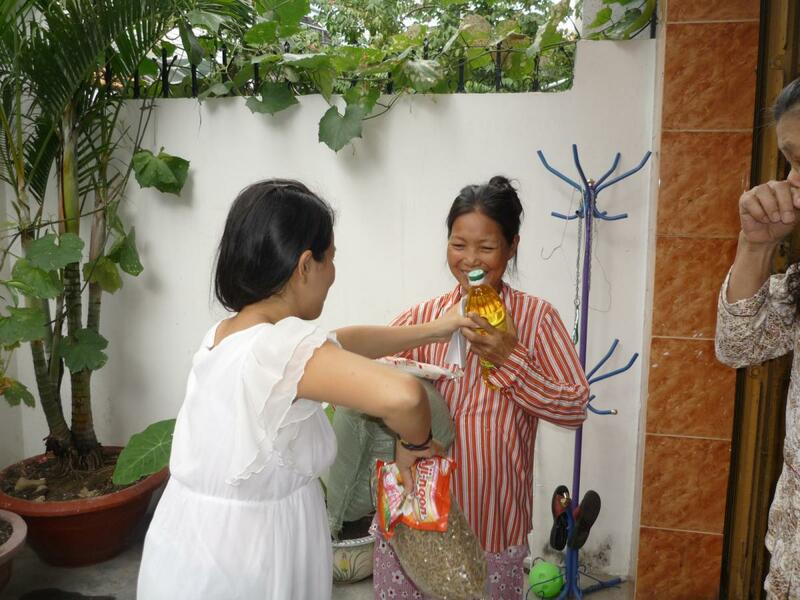 French Coordinator, Khanh Boisson, wished to help the poor families in the community on the western outskirts of Nha Trang. 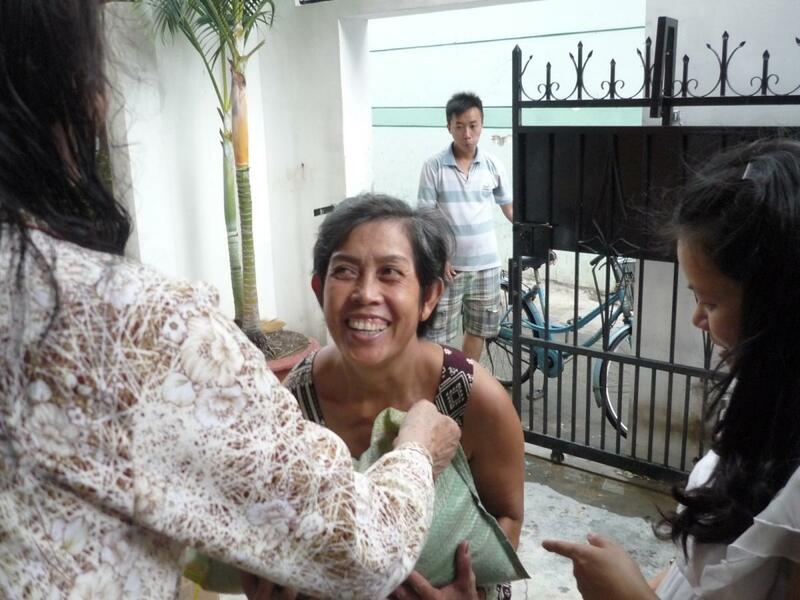 She contacted the local government, who gave her a list of 25 families deemed the most needy. Most of these families are farmers who live along the rice paddies of the plains to the immediate west of the city. 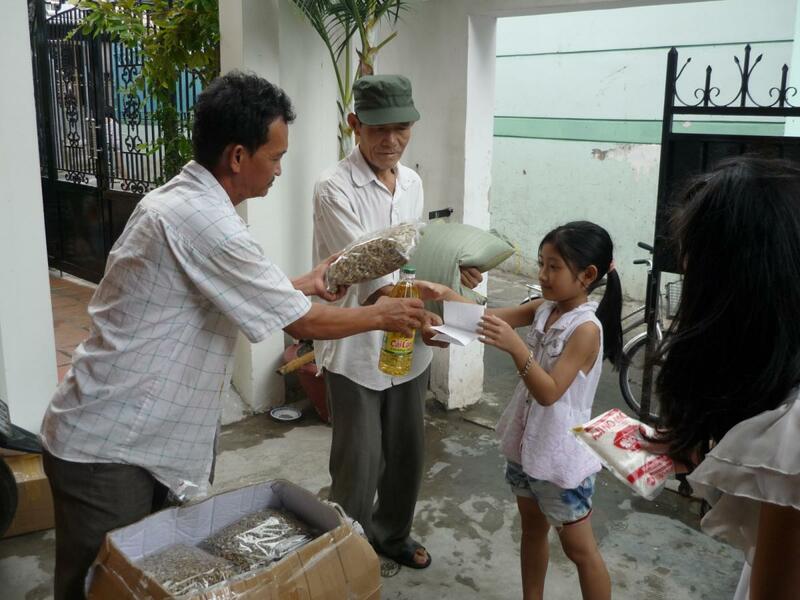 On a warm morning, representatives of Phuoc Hai Ward met with Khanh at her home, and handed out bundles of food to the families one by one. 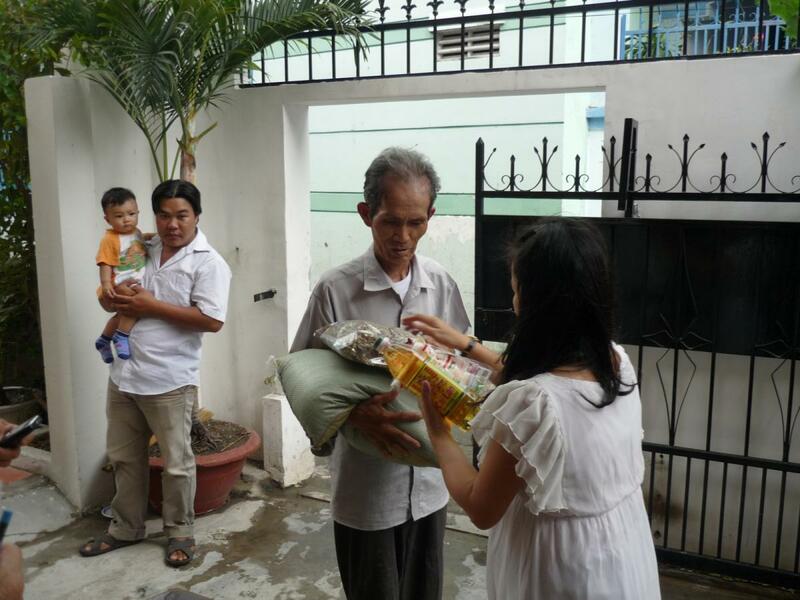 Many of those accepting the donations were older people and children, and they were all very happy to be the recipients of such kindness. 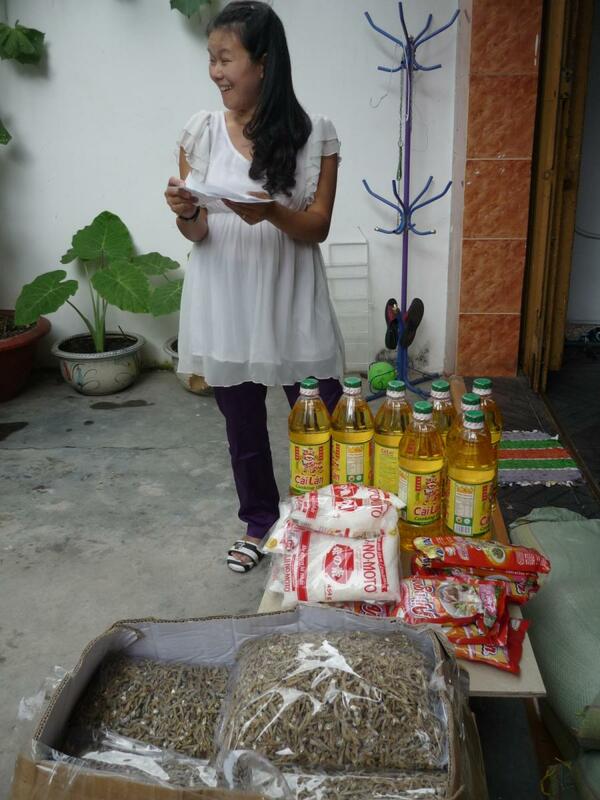 Each allotment consisted of rice, cooking oil, dried fish and spices. 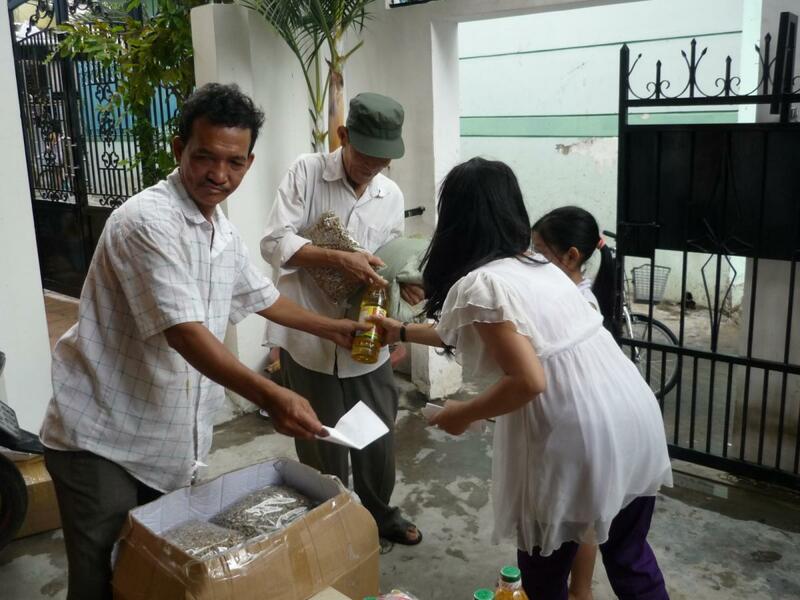 It was a wonderful day, and we wish to thank Khanh and her husband Jeff for their never ending support of Vietnam’s poor.